Jerzy Gregorek, a 62-year-old and four-time world champion in Olympic weight lifting, lives his life by the following principle: "Easy choices, hard life. Hard choices, easy life." If you make your choices based off of what is easiest and most convenient, a harder life will follow. If you make your choices based off of what will give you the most satisfaction and growth for the long term, an easier life will follow. - It appears to be easy to stay sedentary and not exercise. - It appears to be easy to eat fast food. - It appears to be easy to stay up late every night. - It appears to be easy to take a drug to mask uncomfortable symptoms rather than address the underlying cause. All of these 'easier' lifestyle choices can cause interference in your nervous system and directly affect the way you age. 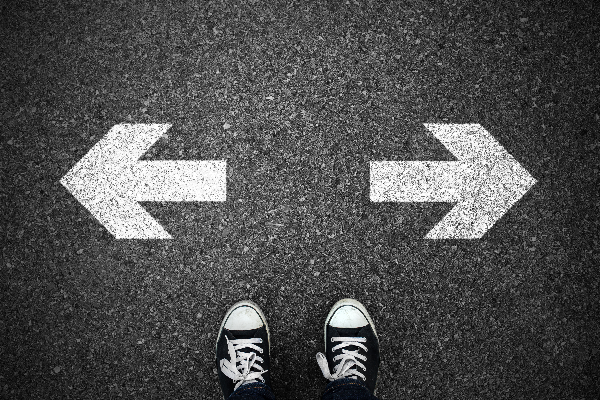 If you make these choices now because they appear convenient and easy, they can lead you down a path that is much harder in the future. Think of your parents and grandparents who may be 80, 90 or 100 years old. If they are sick and suffering, how different would their life be had they made healthier decisions when they were younger? - It appears to be hard to exercise consistently. - It appears to be hard to eat well-balanced, whole-food meals and take the time to prepare food properly. - It appears to be hard to get adequate amounts of sleep. - It appears to be hard to consistently see a chiropractor for Lifestyle Care. However, these people experience an easier life because they consistently make choices that are good for them today and the long haul. While these choices may appear to be harder, by making them daily habits, each choice will become easier and it will result in an easier life. As it says in The 100 Year Lifestyle, "learn to love the things that are good for you."